Lectures are held at Hersham Village Hall on Queens Road by Hersham Green on Thursday afternoons at 2.30pm. Click here to see a one page summary of the 2016 programme (PDF file). Previous Years’ Programmes – 2015, 2014, 2013, 2012, 2011, 2010, 2009, 2008, 2007, 2006,2005, 2004 (PDF format), 2003 (PDF format). Summary of lectures 2003-2011 by date, and summary of lectures 2003-2011 by name. The city of Dresden celebrated its 800th anniversary in 2006. Renowned as the ‘Florence of the North’, its eighteenth century buildings have been faithfully restored. The famous Green Vaults display an array of dazzling artefacts. The Old and New Masters Picture-Galleries are among the finest in Europe. Superb Oriental and Meissen porcelain is on view in the historic Zwinger Palace, a jewel of Rococo architecture. Not far from Dresden we shall also look at the charming town of Meissen and its famous factory as well as the Saxon rulers’ hunting-lodge at Moritzburg and the Decorative Arts Museum at Pillnitz on the Elbe. Eveline Eaton Freelance lecturer in Fine Arts and tour-guide to Berlin, Dresden, Munich, Côte d’Azur, Normandy and New York. Chairman of the Board of Trustees of the Dresden Trust. These two women Impressionists, one French, the other American but living most of her adult life in France, are examined in relation to their male contemporaries. Pamela Halford studied Art History and Art Historical Research at Bristol, Oxford and the V&A. She was previously a lecturer and then researcher/scriptwriter/director at the BBC making programmes for TV and has also made films for the cinema. Pamela has also contributed articles and poetry to the BBC and other publications. Dominic Riley is an internationally renowned bookbinder and teacher. He specialises in the restoration of antiquarian books and the creation of contemporary fine bindings. He teaches bookbinding both in the UK and USA, and his prize-winning bindings are in collections worldwide, including the British Library. He is a Fellow of Designer Bookbinders and Vice President of the Society of Bookbinders. In 2013 he won the prestigious Sir Paul Getty award in the International Bookbinding Competition, and his winning binding was acquired by the Bodleian Library in Oxford. The operas of Gilbert & Sullivan are rich in contemporary satire and witty personal allusions. This lecture tells how each of the 14 operas on which the partners collaborated drew inspiration from the world in which they lived. As a result, celebrities, politicians, social mores, manners, artistic taste, the class system – even Queen Victoria’s red drawing room at Windsor Castle – are poked fun at. The lecture relates how the then first Lord of the Admiralty, W H Smith, became the model for Sir Joseph Porter KCB in HMS Pinafore, how Oscar Wilde inspired Bunthorne – the Fleshy poet – in Patience, and how Gilbert himself was the model for the Judge in Trial by Jury. The lecture is illustrated with live arias accompanied by piano. Peter Medhurst appears in the UK and abroad as musician and scholar, giving recitals and delivering illustrated lectures on music and the arts. He studied singing and early keyboard instruments at the Royal College of Music and at the Mozarteum in Salzburg. Lectures include live music sung and played on piano, virginals or clavichord. Focusing on the representations of the Home Front during the 1914-18 and 1939-45 periods this talk will explore the ways in which gardens and plants are used as symbols of hope, patriotism and renewal. With emphasis for the first time on the small suburban garden, the public space and the allotment, wartime art included both amateur and professional representations and encompassed humour as well as the more predictable aspects of production and escapism. Including rare amateur images of gardens created in internment camps and hospital and recuperation centres as well as better known artists such as Harry Bush and Charles Ginner. Each of the paintings will be explored in relation to the context of the period. Twigs Way is a garden historian, author, researcher and lecturer. She presented Lost Gardens for Channel 4 and has appeared on Gardeners’ World as well as making media appearances on a wide range of garden history related topics. 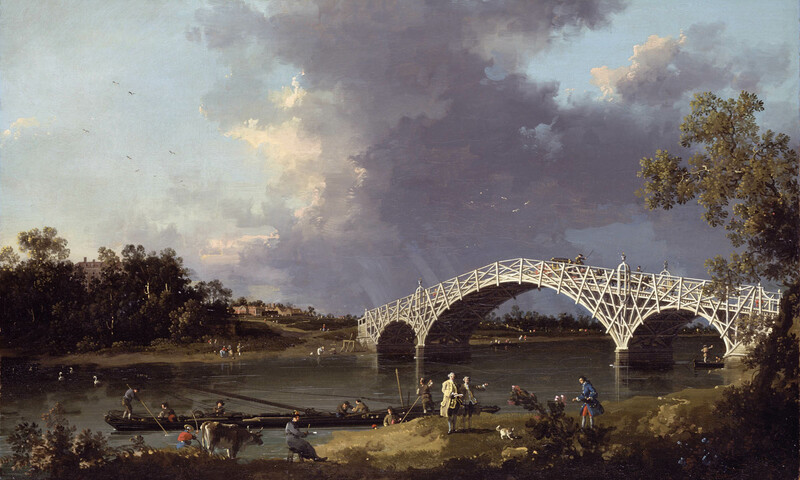 Carries out freelance research in the history of specific gardens and parks for bodies such as English Heritage, the National Trust and various private clients, and has a specific interest in the portrayal of plants and gardens in art and literature and the social aspects of garden history. Her publications include A History of Women in the Garden, the highly illustrated A Nation of Gardeners, and a short biography of Gertrude Jekyll, as well as the quirky History of Garden Gnomes! Currently working on the Eighteenth Century Diaries of the Marchioness Grey of Wrest Park and is also involved in the 2016 tercentenary celebrations of one of our greatest landscape designers Lancelot “Capability” Brown. When was the earliest art? What did it mean? The discoveries of cave paintings as well as sculpted bone and stone figures in the 19th century stimulated ferocious debates. These have re-shaped the very understandings of human origins. From the spectacular walls in Lascaux cave in France to the Venus of Willendorf in Austria, our hunter-gatherer ancestors were anything but primitive cavemen. Ben Roberts Former Curator of Early Prehistory at the British Museum, now lecturer in European Prehistory at Durham University. Graduate of Sheffield and Cambridge Universities. Published and lectured widely on Prehistoric Europe. Researched and co-wrote the first 40 programmes on the BBC Radio 4 series “A history of the World in 100 Objects”. Pieter Bruegel the Elder’s subject matter was the country people and landscapes near Brussels. Ranging from riotous dancing and drinking to a solitary hunter in a still, snowy scene, these pictures are still very popular today. But for the 16th century viewer they held different and fascinating meanings which will be explored in this lecture. Bruegel’s work is set in context of the turbulent history of the period when Spain ruled the South Netherlands. Contemporary attitudes to peasants, the perspectives offered by Erasumus’ writings and the scientific advances of the day are all reflected in Bruegel’s countryside scenes. This lecture traces the story of the two centuries until the death of Stradivari in 1737, when Cremona produced the best string instruments in the world. Illustrations include some diagrams and recorded music. Years of working as an artist within the Criminal Justice System in England and Germany have given Angela unique insights into the destructive and costly cycle of crime, prisons and re-offending. Through extraordinary slides of prisoners’ art, interspersed with personal stories from art projects, the lecturer demonstrates how within the process of creating art there are vital opportunities for offenders to develop key life skills. In the context of prisons it is clear that the arts are not simply decorative or commercial pastimes, but absolutely vital, hugely relevant and potentially life-changing. This talk is moving, informative and very original and has kept audiences across the country engrossed. Angela Findlay is a professional artist and freelance lecturer with a long career of teaching art in prisons and Young Offender Institutions in Germany and England. Her Anglo-German roots and mixed heritage led to extensive research and writing on the role of art in Germany’s complex post-WWII process of remembrance. Angela’s own experiences of working with the subject of guilt make her talks on Art’s active role in society utterly unique and compelling. From Chartres cathedral to Angkor Wat, religion has been the inspiration for many of the greatest buildings of the world. Indeed, for much of human history, the story of architecture and the story of faith were synonymous. This lecture explains the architecture of each of the major faith traditions, revealing how it is shaped by their rituals and beliefs. It briefly covers the sacred architecture of such early societies as Mesopotamia, Egypt and the America before focusing on the living faiths: the great continuities embodied in the sacred architecture of Buddhism and Hinduism, and the revolutionary changes brought about in monotheistic Judaism, Christianity and Islam. It thus brings fresh insights into some of the most remarkable buildings on the planet.